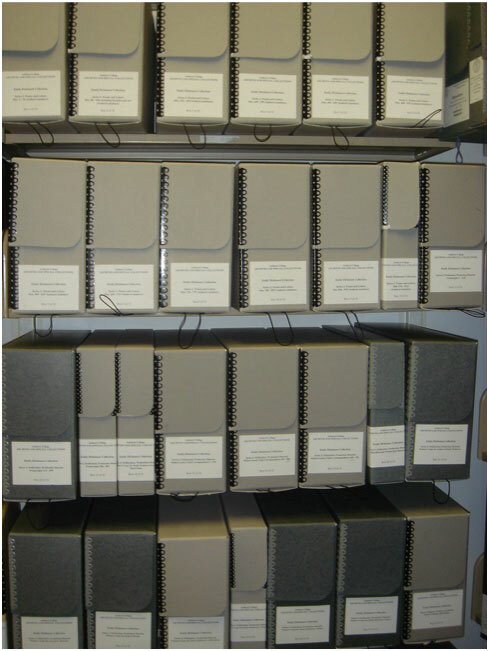 The archive is not the desk; that is, the manuscripts (and, in the case of the virtual archive, the digital surrogates of manuscripts) it houses are in some essential way always variants of the original manuscripts in Dickinson’s own files. Removed from their first context, re-ordered by catalogers and editors, altered by hands other than the author’s, by the elements, and by time itself, they look different and are different than the documents Dickinson knew as her own. And yet, while the archive is not the desk, it is, perhaps, the next best thing. In the archive, we may find all that is left of Dickinson’s works, the material bodies of those works that may tell us things about her writing practice we could not otherwise know. Given the importance of the archive, we might imagine that it is always a scholar’s point of departure. Yet in fact, the archive is just as often—perhaps more often—the scholar’s final destination….the last stop…. In my case, I discovered the documents in the Amherst College Library, Archives & Special Collections, long after I thought I knew them from their reproductions in various editions of Dickinson’s writings. If this was naïve on my part, I have my excuses: I began working on Dickinson almost twenty-five years ago as an unsuspecting graduate student at an institution that while dedicated to circulating theories of the text was silent concerning the importance of the material document. If I thought about documents at all, I imagined them as identical in every significant way to the texts I knew. In fact, when I began working on the “Lord Letters,” I knew only one text intimately--Thomas H. Johnson and Theodora Ward’s three volume 1958 edition of The Letters of Emily Dickinson and the only full-scale scholarly edition to include the “Lord” letters. The magisterial work Johnson had performed as editor of Dickinson’s writings led me to believe that his Letters was beyond critique. It’s unlikely that Johnson himself would have made this claim, but the claim attached itself to the edition as deeply and indelibly as the imprimatur of Harvard University Press on the edition’s binding. My teachers, with one significant exception, used Johnson’s Letters; and the scholars I read cited it. Later, I became aware of Millicent Todd Bingham’s Emily Dickinson: A Revelation as the first site of the “Lord Letters” publication. The historical and cultural significance of this edition encouraged me to track it down and study it closely. It was the discrepancies between Johnson’s and Bingham’s editions that provided the first clue that the “Lord Letters” were not as stable as I had believed. The time for a reinvestigation of the “Lord Letters” had come. Although there were no textual scholars on the faculty of my department, or none that dared call themselves by that name, poets and scholars outside my institution had begun to produce extraordinary work. Susan Howe (My Emily Dickinson) and Ralph Franklin (The Manuscript Books of Emily Dickinson), though representing opposing poles of Dickinson scholarship in some ways, both offered radically new ways of approaching Dickinson through her manuscripts. Their work ushered in a new form of inquiry focused on the material Dickinson that many of us—and certainly the editors and contributors to the DEA and the DEA2—have found fruitful. I first went to the Amherst College Library in 1991. I went to see the “Lord Letters,” and what I saw enabled me to write Emily Dickinson’s Open Folios (1995), an exploration of Dickinson’s late poetics of composition and an “unediting” of the “Lord Letters” designed to reveal the distance between Dickinson’s manuscripts and the printed representations of her work. Open Folios, however, was only a first re-reading of these documents, and I expect other readers to contest and expand my initial conclusions. This section of the site, then, comprises a virtual archive of the materials that, working backward from Johnson, to Bingham, to Leyda’s cataloging notes, I first looked at in the Amherst College Library Archives. I offer this virtual archive to readers in order that they may ask, again, What are these documents? Do they belong together? Does a fresh analysis of the physical evidence alter theories of affiliations among the manuscripts themselves? Do the cuts in the manuscripts represent editorial mutilations or changing authorial intentions? What can these manuscripts tell us about late scenes of Dickinson’s writing? And, more importantly, I offer this virtual archive to readers in order that they may ask questions of the documents that I have not ever imagined. 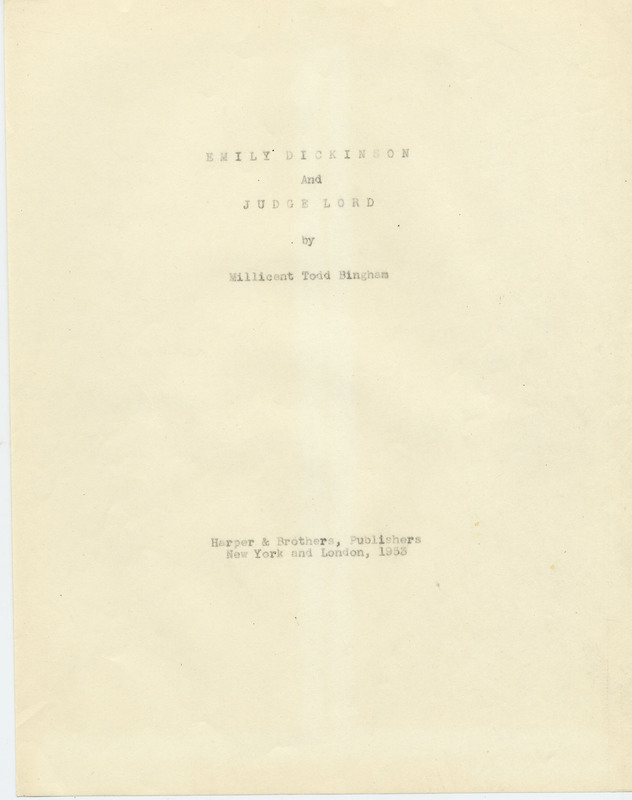 The “Lord Letters” were among the mass of manuscripts and related materials Millicent Todd Bingham donated to Amherst College in 1956 (for details on the Collection’s history, see the Finding Aid). Most, if not all of them, had been examined, organized, and numbered by Jay Leyda while they were still in Bingham’s possession, and, since the materials had been re-arranged before deposit at Amherst, no evidence of their original order survives. · A single number (#) indicates one sheet of paper with writing on one side. leaves with writing on each leaf. · A number followed by a semicolon (#; #a) indicates two sheets of paper. · A number followed by a slash (#/#a) indicates one sheet of paper with writing on both sides. sheet of paper that contains two poems. To access digital surrogates of the “Lord Letters” included here, visit the Lord Letters index page. The Millicent Todd Bingham materials deposited at the Amherst College Library, Archives & Special Collections are an especially rich source for scholars interested in tracking Bingham’s research into Dickinson’s relationship with Lord and her changing conceptions of her narrative of that relationship in A Revelation. As Bingham’s papers reveal, for example, the original title for Emily Dickinson: A Revelation was “Emily Dickinson & Judge Lord.” Her abandonment of the first title may be a way of acknowledging that all conclusions about Dickinson and Lord’s association—both actual and textual—must remain provisional. The “revelation” of the second and final title may thus refer not to the relationship between Dickinson and Lord but, rather, to the extraordinary quality of the documents themselves and what they disclose about Dickinson’s late epistolary practices. Bingham’s drafts of A Revelation include drafts of her transcripts of Dickinson’s letters and fragmentary textual remains. These transcripts, many of which contain corrections, are witnesses of the struggle involved in translating Dickinson’s handwritten productions into type. They remind us that a poetics of editing, like a poetics of writing, is grounded in hesitations, errors, and changes in direction. [i] The Emily Dickinson Collection at the Amherst College Library, Archives & Special Collections takes up 21 linear feet and includes 24 archives boxes, 8 half archive boxes, 8 oversize boxes, and 5 specialty boxes. 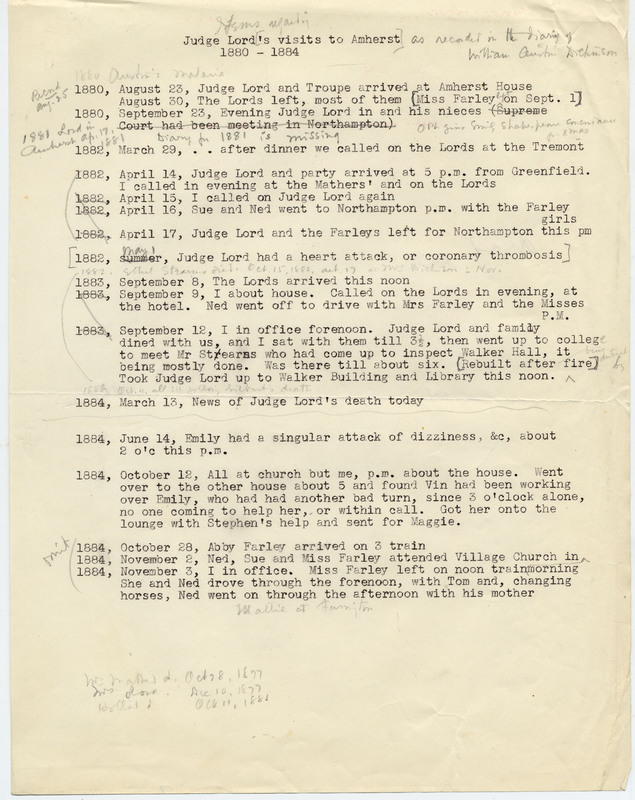 [ii] For additional archival resources relating to Millicent Todd Bingham, readers should visit Yale University Library (Manuscripts and Archives), New Haven, Connecticut. This archive houses the David Peck Todd Papers, Mabel Loomis Todd Papers, Millicent Todd Bingham Papers, Todd-Bingham Picture Collection, and Todd-Bingham Memorabilia Collection. [iii] Many of Jay Leyda’s papers on Emily Dickinson are housed in New York University’s Tamiment Library & Robert Wagner Labor Archives. The relevant documents are part of Series 5: Other Projects, and within this Series, Box 22, folders 12-14, contain materials related to Leyda’s work on Emily Dickinson. 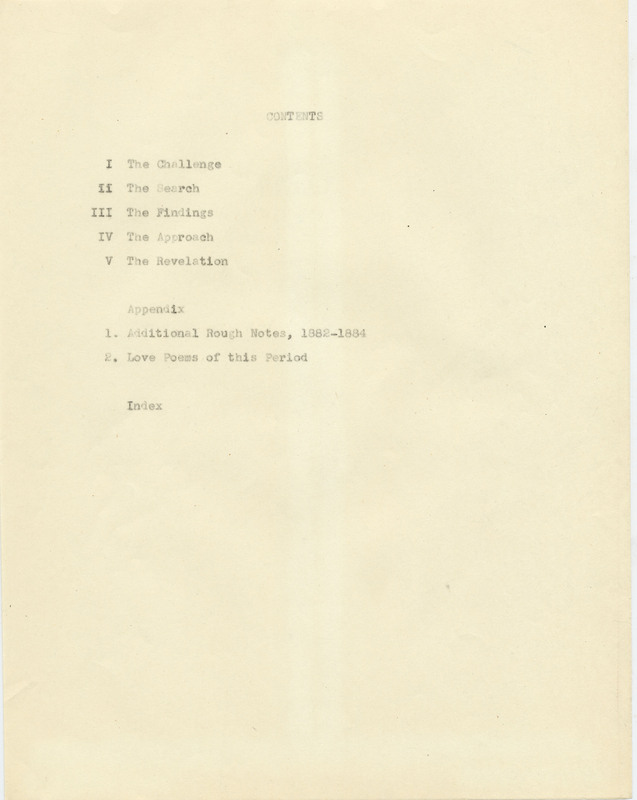 Folder 13, containing reference material, drafts, and correspondence, 1952-1987, is of greatest interest.